First off, I want to be absolutely clear about one thing, even though I’ve already mentioned it several times in the past, in various places. This episode takes place one year before the events of Crisis of Chaos (the premiere event), and the remainder of the season will fill this one year gap. In case you’ve been confused, that is the meaning of Season 0, 0 because it takes place before the first episode. Now, a brief history of the “Season 0” concept. Long before I had ever dreamed up The Chaos Project, my disappointment in the story value of Sonic Unleashed (made even more drastic by Sonic Colors later on) led me to come up with a few Sonic game ideas of my own. Each one was meant to be a game, not a story, and even had its own gameplay gimmicks which are so common in the series. However, the most important thing about these games was their stories, which were primarily meant to address the essential question that I’ve been bringing up in the past few reviews. That was the primary inspiration for the game which is now reinterpreted as “Speed of Time.” Back to the history, since these ideas existed only in my head for multiple years, many of them faded into obscurity. Then, in the winter of 2011, I literally woke up from a dream which inspired me to create what will eventually be the finale arc of The Chaos Project. And as that idea grew, I decided that the concept needed a more proper introduction, which became “Crisis of Chaos.” But in planning for the exact details of that, the thought came to me to bring back the characters which are now known as Blacklight and Chaos, who until then only appeared in those original game ideas. When the time came that I decided to write an actual FanFiction, I knew that couldn’t just bring in those characters without their original intended introductions. And yet, I wouldn’t even consider replacing the premiere event with some random isolated story which wasn’t even intended to be written out. So I came to the perfect compromise. Do the epic premiere first, then go back in time and write out the events that led up to it. So far, I am extremely happy with the results, and I feel that the premiere did exactly enough to hint at the characters’ purposes without spoiling any of Season 0. But then, that’s just my opinion, and its what the readers think that really counts (I’d love to hear your thoughts on this as the story develops and the characters get their proper introductions). Wow, that dragged on a bit. Now to talk specifically about this episode. The first thing you probably noticed is the “previously” section at the very beginning of the episode. If you have extensive knowledge of all things Sonic, this probably won’t seem that useful to you, but I highly suggest that you read these anyways. They’ll only come up every once in a while, and anything said there can be extremely important to the story, possibly even because of the specific words used, something that I wouldn’t expect anyone to remember perfectly. This has gone on for long enough, so I’ll make the rest quick. The motobug seen in the first scene was intended to look like the original version from Sonic 1, in case you couldn’t tell. Pretty much everything that happened to Eggman this episode is a lead-in to future plots. In the future please pay close attention to episode titles, as some may be extremely relevant puns, or may otherwise help in analysis and understanding of the episode. Take note of Sonic’s voice and personality, it’s more important than you might expect. The rest, I shall save for next time. – And until that time comes, remember to live and learn every day. 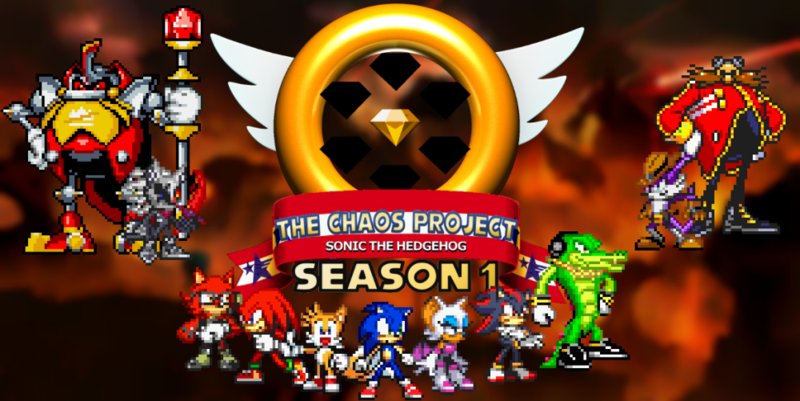 This entry was posted in Episode Review and tagged Blacklight the Hedgehog, Chaos the Hedgehog, Crisis of Chaos Arc, E-Series Robots, Roger Craig Smith, Sonic Colors, Sonic the Hedgehog, Sonic the Hedgehog (1991), Sonic Unleashed, Speed of Time Arc by Chaos Project. Bookmark the permalink.